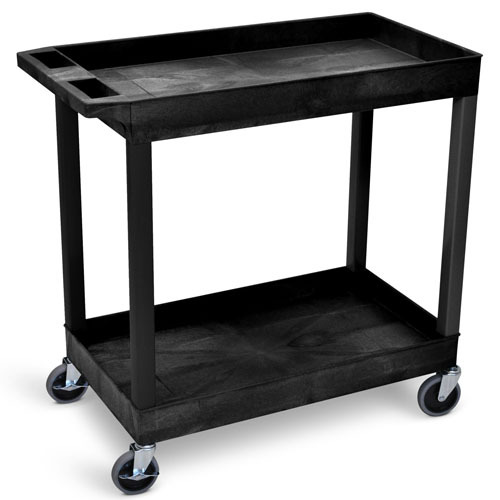 Luxor’s EC-series utility carts are constructed to be reliable while carrying weighty loads. The shelves are made of a material known for its incredible strength to density ratio (HDPE), assuring that each cart is durable without being bulky or cumbersome. While transporting goods, easily guide the service cart amid indoor and outdoor environments using the ergonomic push handle; use locking brakes when your heavy load needs to remain stationary. Our EC tub carts, which are made in the USA, are an impeccable choice for a variety of users.